I have recently been introduced to two superb web sites created by historian and science educator, Peter Morrissey. He is based at Coonabarabran High School as a Science teacher, but this year Peter is working throughout the Coonabarabran region in schools to integrate technology into classroom teaching as a Connected Learning Coach attached to the Warrumbungle SEG. A great part of the world to be traveling through. In 2009 Peter was awarded the Westfield History Teachers Scholarship and he employed the award to travel to Australian WW1 battlefields in Europe. He produced Anzac Battlefields of World War One to display his work. He skillfully produced immersive panoramas of each of the places that he visited in Europe. 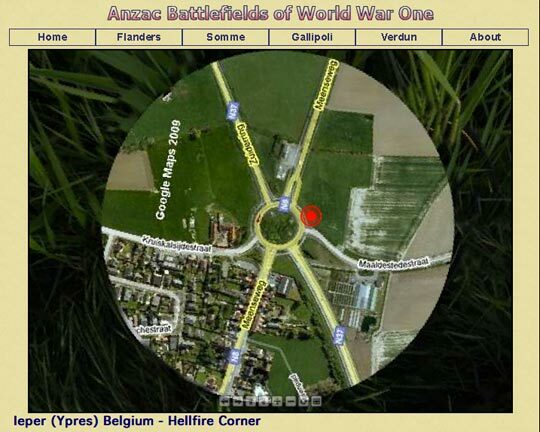 They are probably the most comprehensive panoramas of the battlefields available and I am aware that Peter frequently receives emails from WW1 buffs around the world. 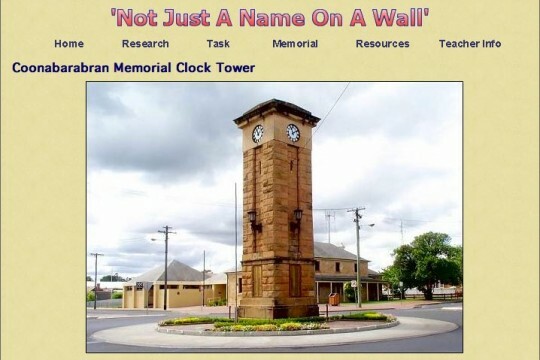 Peter’s other web site, Not Just A Name On A Wall was made as an example of an online authentic task where students use primary sources to write the story of a WW1 soldier from their area. This site taps into a variety of research skills and authentic historical method. 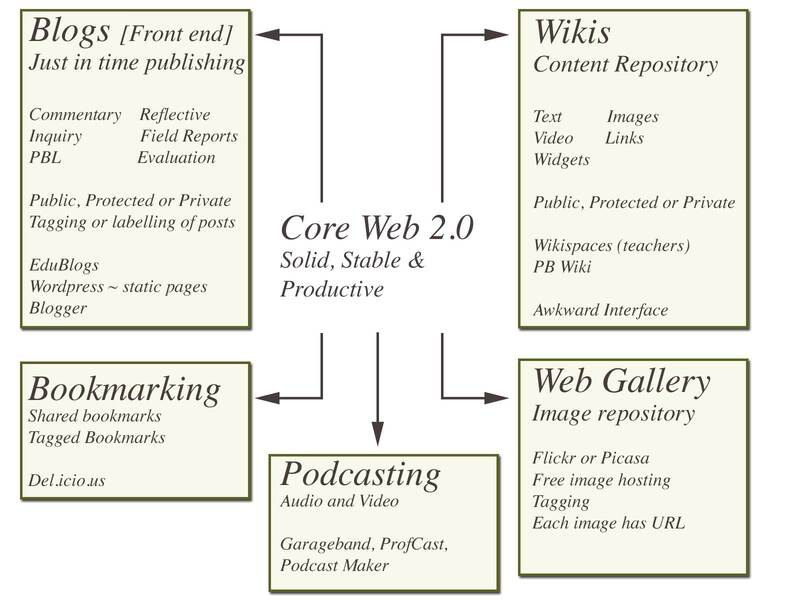 Let’s look at each site in turn. This is a remarkable historical resource. Remarkable. 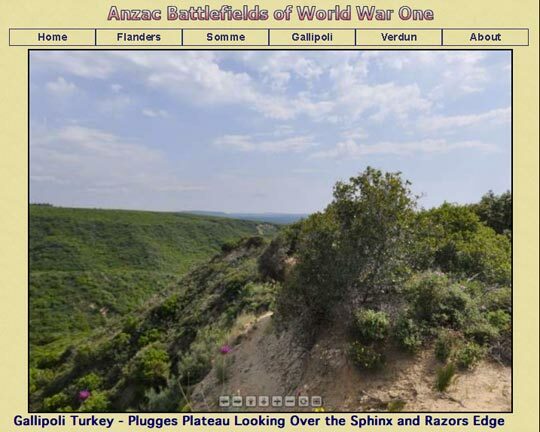 Peter has created 97 high quality panoramas of a variety of WW1 battlefields in Europe and the Mediterranean where ANZACS saw action. This was a period during which Australia marked a place for itself on the world map. 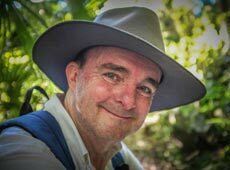 Peter has had the good fortune to visit Belgium, France and Turkey to create panoramas of the sites of such famous and also tragic battles such as the Battle of Passchendaele, Battle of Fromelles, Battle of Pozieres and Gallipoli. This is a rich and well resourced web site and words fail me to describe how valuable a resource this web site is for teachers and students of Australian history. 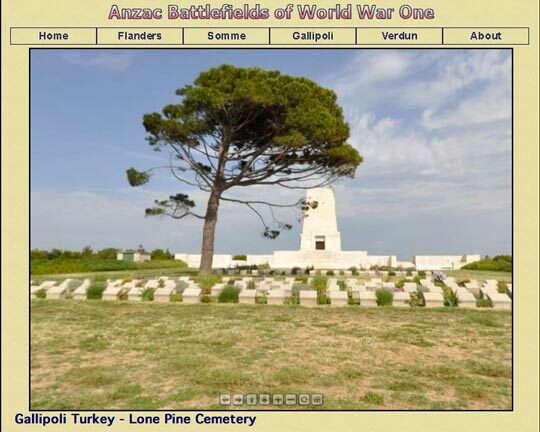 Please visit Anzac Battlefields of World War One. It is a well structured site that employes scaffolds and guides to support teachers and students. There are dedicated pages that set out the processes and provided guides for research, the task, key primary source material, resources, and information for teachers. This is an opportunity for students to pull on the boots of the historian and to dig around within the layers of the past and uncover the story of a digger that went to World War One. Please visit Not Just A Name On A Wall. Both of these sites will enrich the work and experiences of any class exploring the history, tragedy and courage of the soldiers that fought in the bloody battlefields of WW1. 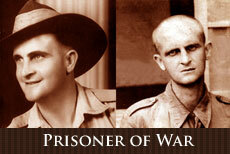 An ideal resource for teachers of Stage 5 History and Year Nine in NSW. I have added each site to my list of links on my Year Nine History page.